Color trends they come, and color trends they go. But black? She’s a timeless classic. 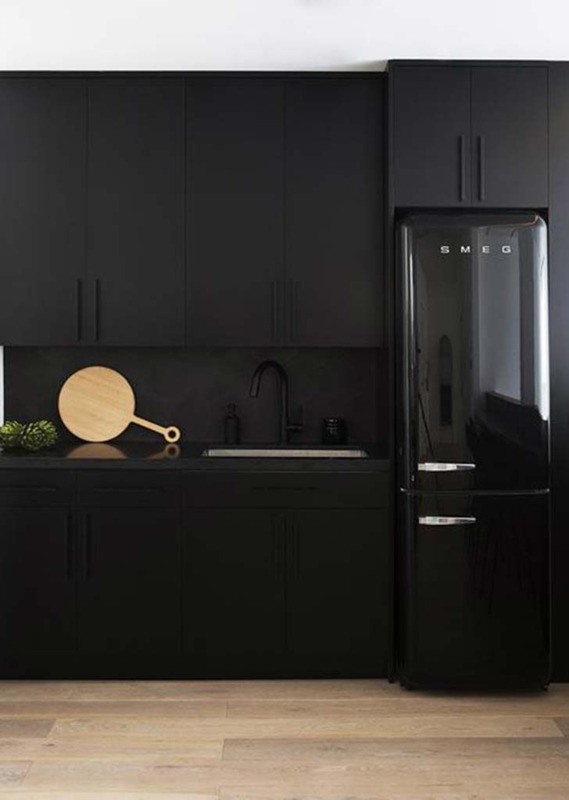 Which is why we’ve been loving the creative black kitchen features gracing our Instagram and Pinterest feeds as of late. Ready, set, sexiest kitchens ever. 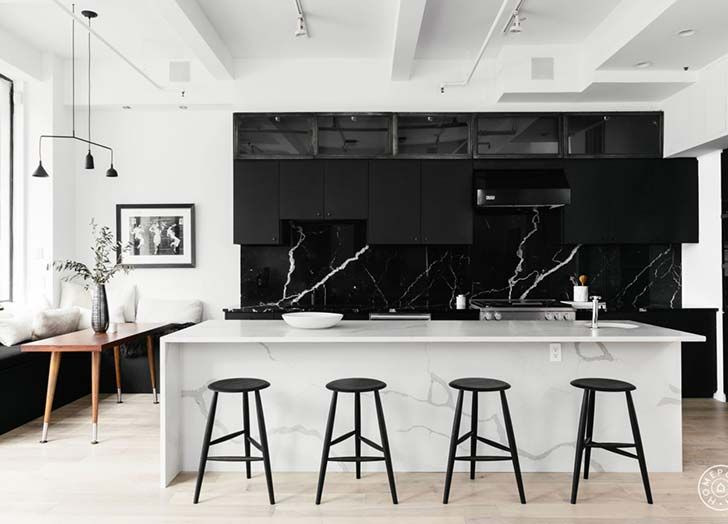 Designer Amber Lewis knows that black cuts a seriously chic line through a space. 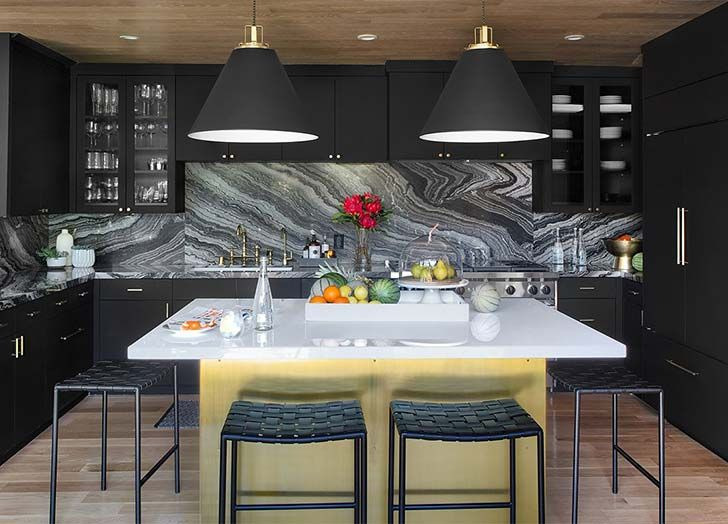 Which is why she added a focal shelving wall to tie together her black counters, hardware and industrial pendants. Later, white marble—there’s a new power player. We love how Homepolish designer Jae Joo complemented this epic backsplash with minimalist matte black uppers and a dreamy banquette dining area. Holy textural explosion. 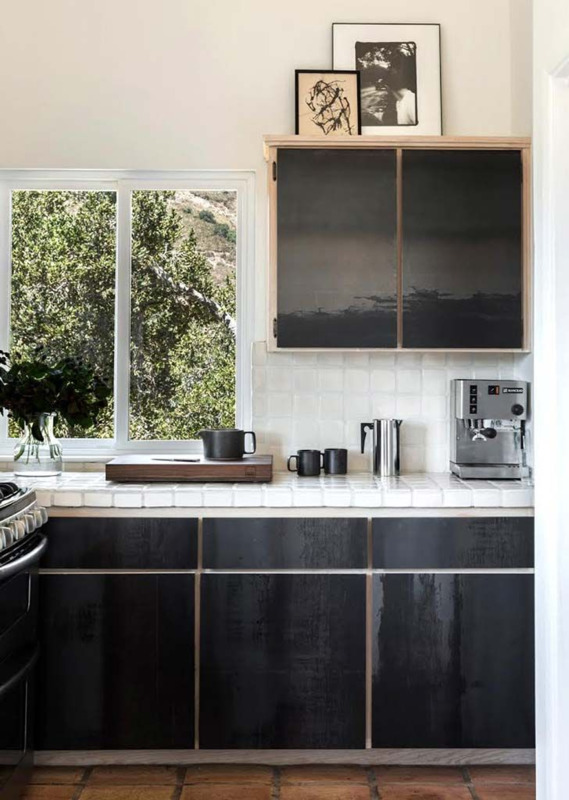 Here, designer Carissa Duncan of Salt + Bones mixed blonde wood frames, white-tiled counters and glossy black flat-front cabinets for a result that strikes the perfect balance between edgy and classic. 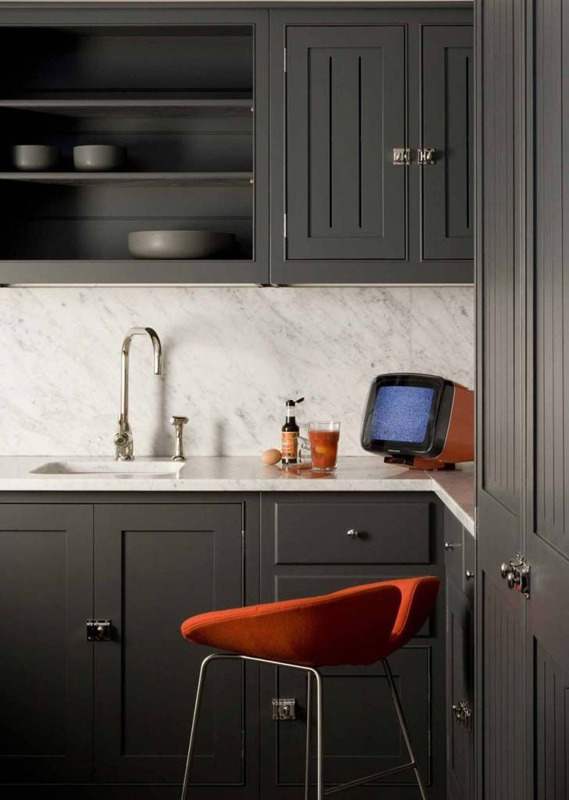 For a more classic, Shaker-style kitchen, black tones with hints of gray can feel more authentic to the space. Example A: This perfect kitchen by Plain English Design. Shout out to the petite integrated marble sink. We mean, kitchen dreams. As a neutral, black allows for a bold upper/lower, mix-and-match opportunity. 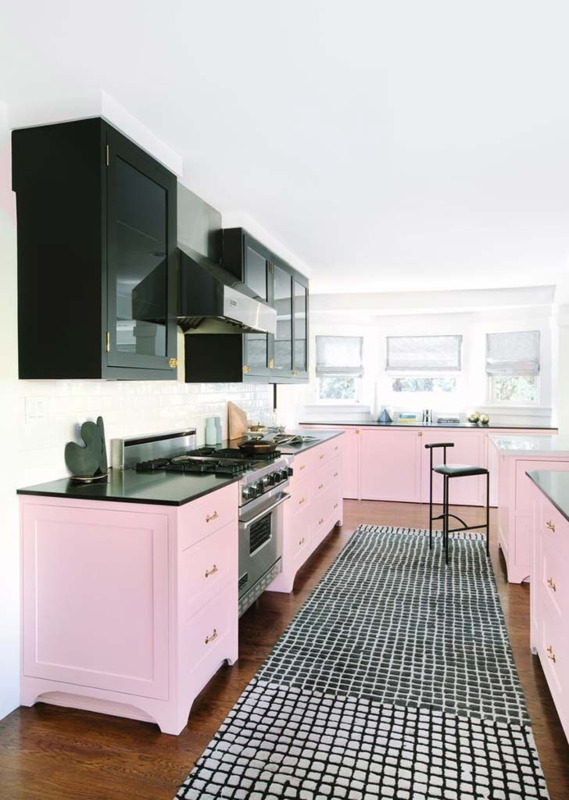 This bubblegum pink scheme by Black Lacquer Design isn’t for the faint of heart, but it’s beautifully executed nonetheless. Or you know, you could keep things classic. 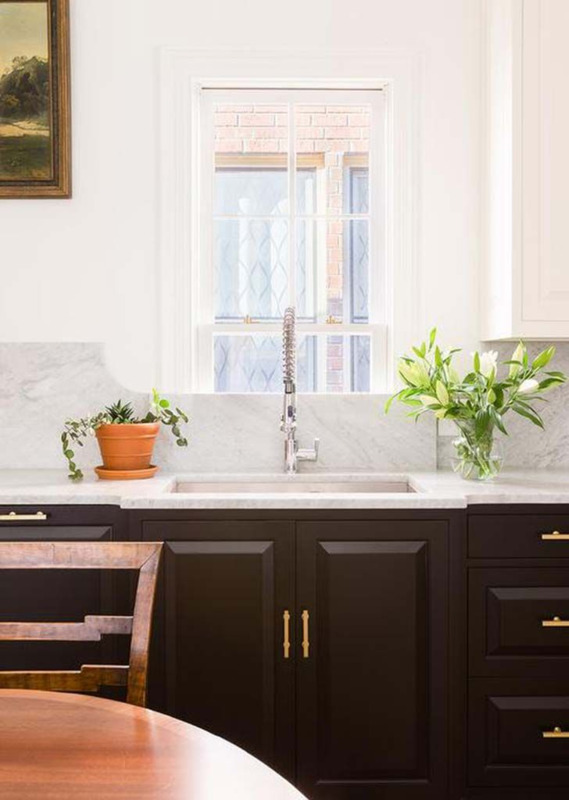 This tuxedo palette kitchen by Jason Arnold pairs beautifully with brass hardware and traditional mahogany furnishings. 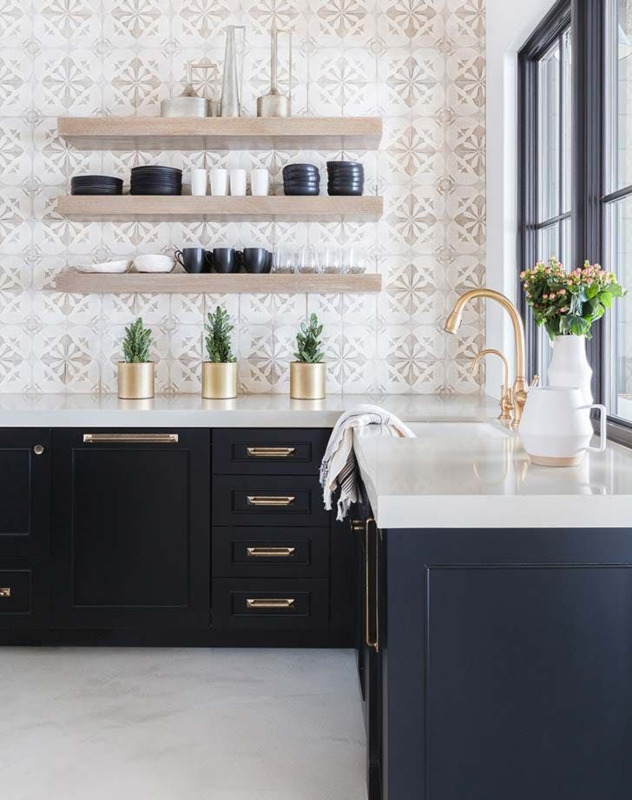 In this striking kitchen by Studio Life.Style, gold hardware, gold decorative accents and even a gold kitchen island base take the space from dark and brooding to glam and happy. 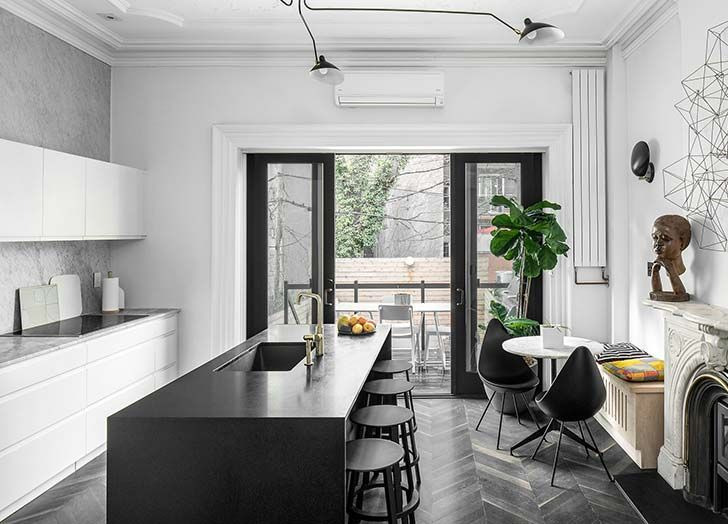 In this white and grey stunner by Homepolish designer Delia Kenza, an oversize black island punches a line through the room, adding contrast and leading the eye out onto the terrace. Outrageously chic, no?